Preheat the oven to 450 degrees F. Line a sheet pan with foil Place the racks of lamb on the foil lined sheet pan, fat side up and allow to sit at room temperature for 20 minutes. Meanwhile in the food processor prepare the rub for the racks of lamb by adding the parsley and the garlic and using the steel blade to chop until just combined into a even mince then add the bread crumbs, lemon zest and melted butter and pulse until combined evenly. Set the rub aside. Now rub the olive oil on the racks of lamb and season the lamb with the salt and pepper on all sides making sure to leave the fat sides up. 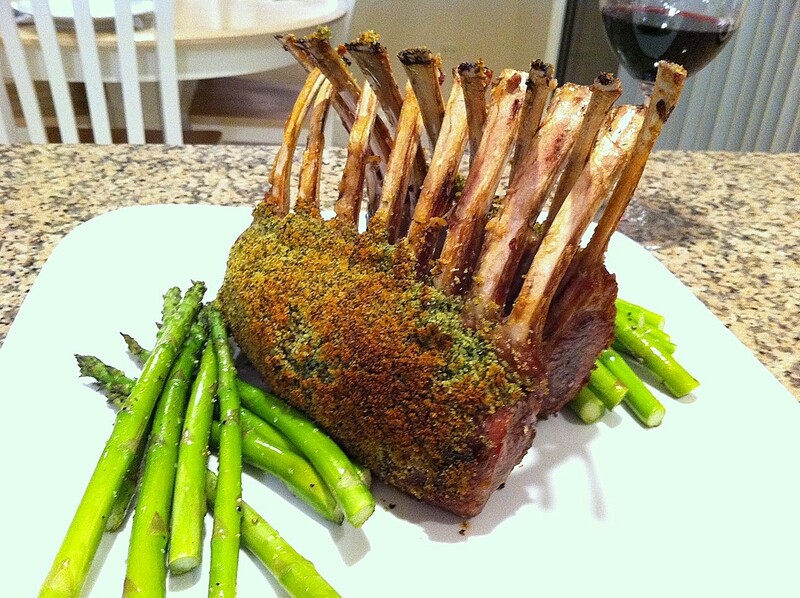 Roast the racks of lamb with only the oil and salt and pepper for 10 minutes then remove from the oven and quickly but carefully press the parsley rub mixture on the on the racks of lamb in an even coating and return to the oven to roast another 15 minutes. 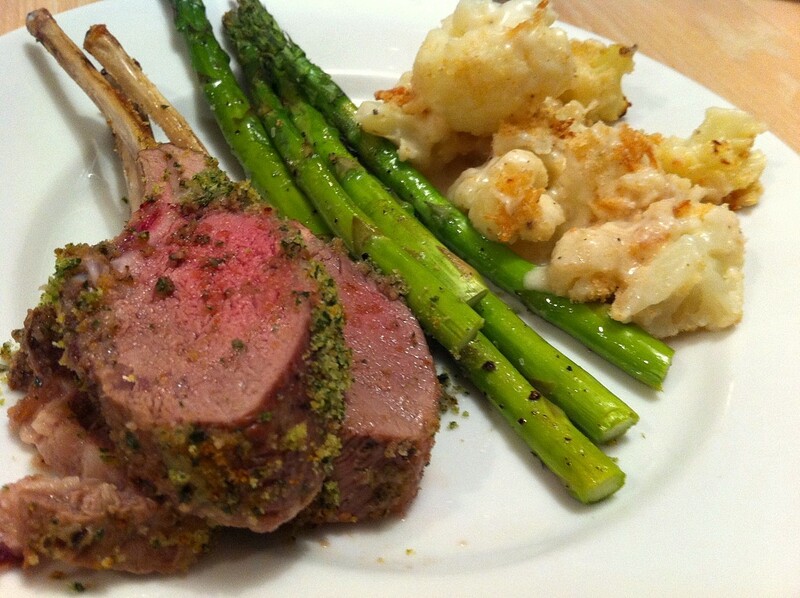 Remove the racks of lamb from the oven and allow them to rest for 15 minutes and cover the racks loosely with foil. After 15 minutes slice the racks and serve.